The Roman Leather Cuirass is great for achieving an authentic Roman soldier look. 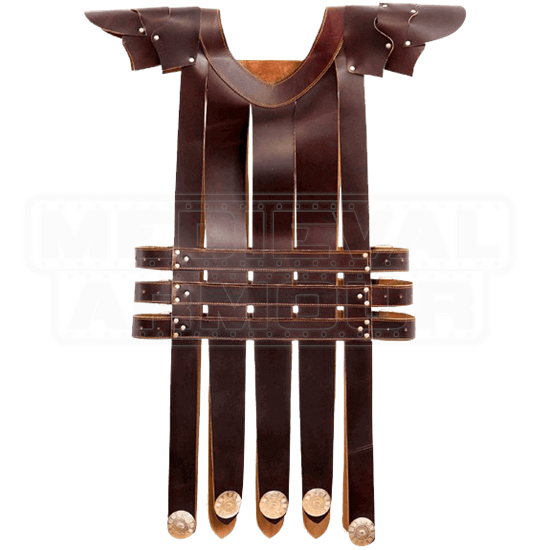 Made of high quality leather, this armour uses long leather strips to create a harness that is secured at the waist with adjustable buckled straps. The thick leather strips that make up this armour piece are attached to a square neckline and extend down below the waist, with the end of each strap adorned with a round metal medallion detail. Layers of leather are attached to the shoulders, creating pauldrons. With its three buckled waist straps, this historic-inspired armour piece can easily be adjusted to suit a various sizes. 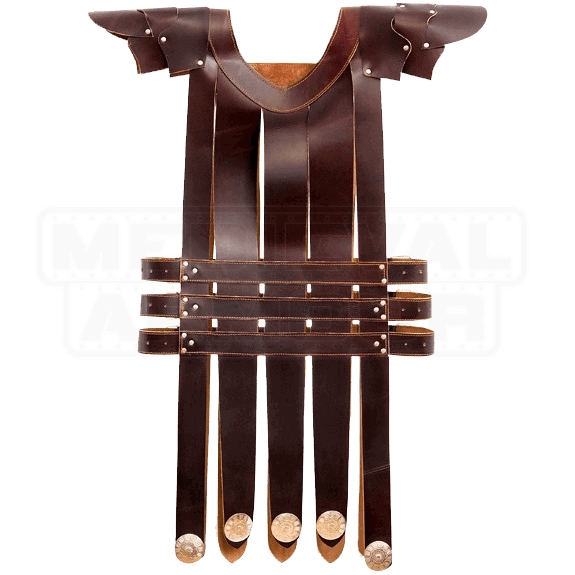 For distinct warrior style, wear the Roman Leather Cuirass at your next reenactment event or LARP gathering.